On the 14-15th of December, members of ESN VMU participated in the 17th National Platform (NP), which was held in Klaipėda. Our delegates had to carry out many tasks and assignments that eventually turned out to be very helpful and beneficial. What is more, useful ties with other sections were made, resulting in future cooperation. Making contribution to various decisions of ESN Lithuania was probably one of the most important tasks obliged to our team because they were able to directly influence the further development of ESN organisation in Lithuania. It was also important to bring motivation and new ideas to our section back home in Kaunas, but one bit at a time. NP is a meeting held four times during a period of one year. During this summit, delegates from all over the country discuss the most important news and events on National and International levels. This NP was the first one for our new board, so in order to bring fresh news and ideas to our waiting members in Kaunas, ESN VMU delegates used every opportunity to spend their time as efficiently as possible. 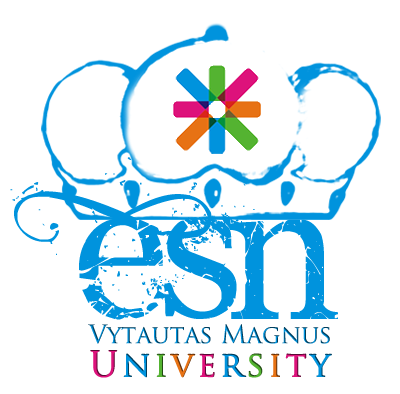 Before moving on, we would like to congratulate ESN SMK for joining ESN and becoming the 11th section in Lithuania. We would also like to congratulate ESN VDA for getting approved as a section candidate. You’ve got our support and best of luck! Motivation is the key element when it comes to pursuing our goals. Being able to participate in such events reminds us how big and important ESN is. This was well-emphasized by our honourable guest and former ESN International President Emanuel Alfranseder. He shared his thoughts on Erasmus programme, its’ benefits and useful experience. Motivation and confidence came alongside and it did not take long before we realised, that the problems ESN VMU faces today, are found in every section. Such an unexpected awareness turned-out to be a great opportunity for our delegates not only to discuss but also to find simple solutions to common problems. Our delegates bonded with other section members not only to improve work quality but also to strengthen the relationship between them. Despite the fact that there wasn’t enough time to talk to everyone, Giliukas (a new ESN Lithuania mascot) will help different ESN sections to familiarise with each other, as from now on he will be travelling throughout Lithuania. By the way, the journey of Giliukas will start from… Exactly, ESN VMU! For such reason, we are eagerly awaiting for an invitation from the other section in order to pass on our new friendly mascot and expand our circle of friends. National Platform, which was named “Christmas on the boat” was officially closed on a Sunday afternoon, after Christmas wishes and exchanging of the gifts. ESN VMU would like to thank ESN KUK for successfully organized NP. It was a great opportunity to come to Klaipėda. Merry Christmas to all ESN Lithuania sections and see you all in the next NP!